As the only Ivy League school located in The Big Apple, Columbia owes its status as one of the nation’s premier academic institutions in large part to the world-class resources that only a city like New York has the ability to leverage. Students studying Masterpieces of Western Art are only a 45-minute train ride away from the Metropolitan Museum of Art, theater buffs need only sacrifice half an hour on the subway before basking in the neon glow of Broadway, and classical musicians can enjoy the commanding tones of the New York Philharmonic at the Lincoln Center in just 15 short minutes! This central location, coupled with the formidable strength of Columbia’s academics, attracts thousands of students every year. 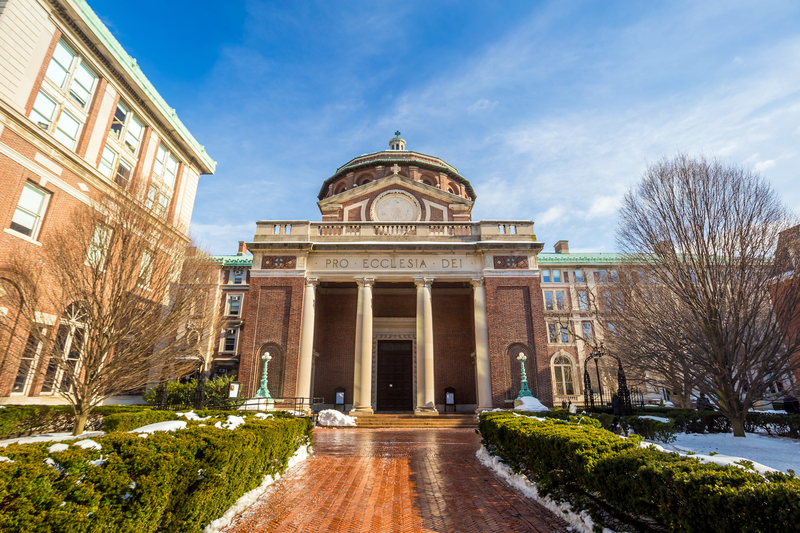 However, as one might expect, such a sterling reputation leads to the fearsome reality that many students are forced to confront during their app year: Columbia is an extraordinarily selective school. According to the university’s own data, there were 40,203 applicants for the class of 2022, and only 2,214 of these students were accepted. To put this into perspective, imagine that you are in a room with 99 other people. A Columbia admissions officer’s job, upon assessing the academic record of each person in the room, is to winnow out about 94 of those people. It’s enough to induce chills in even the most battle-hardened hearts. However, one of the ways that a prospective Columbia student can stand out in such a talented crowd is to give exceptional responses to the supplemental essays that the school requires. In the following post, we will be looking at strategic ways to approach the essays that Columbia requires, ensuring that our responses to these prompts enframe our personalities in such a way that even the most grizzled admissions officers will have no choice but to appreciate our craft. The first four questions that Columbia asks do not require you to write essay-length responses. Instead, these prompts ask you to list a few things – from elements of your ideal community to your favorite TV shows – that will allow the admissions officers to get a sense of you, the flesh and blood person behind all of the numbers on your transcript. Let’s get to it. 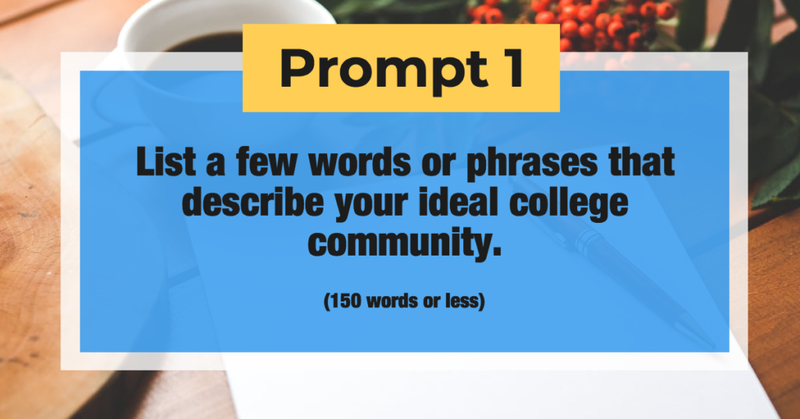 The very first word in this prompt is the imperative verb “list,” which gives you an immediate sense of what the university wants. 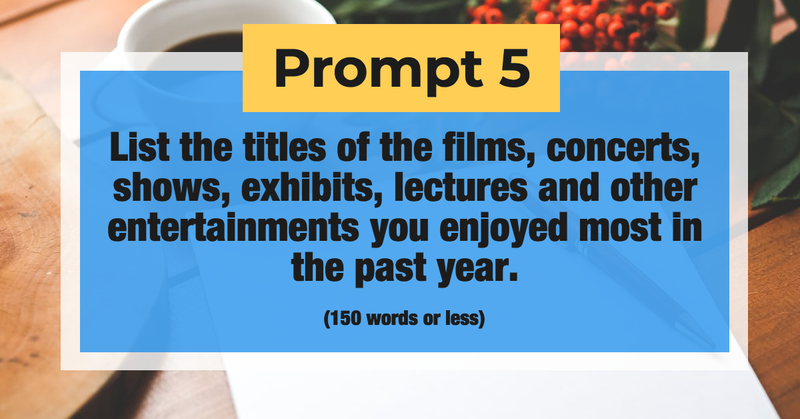 With this question, Columbia is not requesting a well-wrought piece of narrative nonfiction; it’s asking you for a few concisely worded and thoughtfully constructed points about what it is that you hope to find when you saunter into your first year of undergrad. As we mine ourselves for information that will demonstrate our personality in clever ways, bear in mind that we are limited to “150 words or less for our response. Here’s a small example. Although both of the following responses are a bit too long for this particular essay, when the admissions officer finds herself reading an essay, which do you believe will impress her most? Student 1: I am looking for a school that is deeply enmeshed in its environment, a school that infuses its education with the opportunities that surround it. I want to attend a school with a vision of the future that resonates with mine. Student 2: I am looking for a school whose commitment to social justice, the liberal arts, and world culture makes a place for me, a budding linguist with a penchant for investigative journalism, so that my love for academia is forged within a communal vision of a progressive future. It’s quite easy to see the one that works best, right? The second student’s response is much more detailed, and it relates quite well to Columbia’s overall “personality.” The first student’s response is quite generic; also, because it’s applicable to many, many schools, it doesn’t give the admissions officer any reason to believe that the student would be a good fit for Columbia in particular. Let the people who are reading your essays get to know the real you: give them specifics. A community where I will find my beliefs challenged intelligently and respectfully, whether in dorm room conversations about the racial politics of Childish Gambino’s This is America or serious debates on the increasing dangers of climate change. An institution that engages in critical self-reflection, understanding that its historical legacy is sometimes cause for celebration, sometimes cause for modification. A university that understands the foundational importance of the humanities even for those who wish to become computer programmers and physicists. Although we’ve not yet hit 150 words for this list, it’s easy to see how this response fulfills the criteria that the prompt asks us for: even in its short 79 words, it both describes an ideal community AND helps to communicate essential information about the writer! This prompt, as well as the three that follow it, is quite self-explanatory. 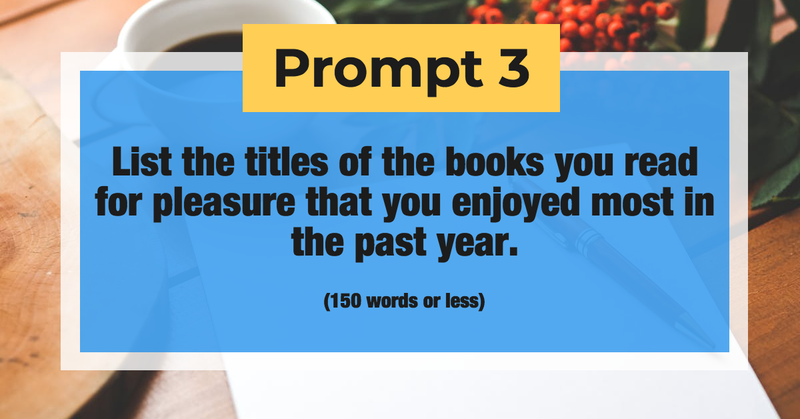 Here, you should provide a catalog of the novels, short stories, and essays that you enjoyed most between the tail end of your junior year and the beginning of your senior year. Any books that were an official part of your schoolwork are fair game, and you should strive to list at least 5 (and at most 10) of them here. Remember to include the names of authors as well! This section, although similar to the previous question, requires a little more artistry. Because you have a much larger pool of readings to choose from (one would hope), this list should be tailored so as to demonstrate both 1) a strong sense of your personality and 2) a general intellectual curiosity. This means that anything (within reason) goes! Do you have an insatiable penchant for graphic novels? Put a few up there. Always been dying to mention that book of essays by your favorite architect? The Columbia admissions officers would love to hear about it. Whatever texts have piqued your interest should go here. However, there are a few things you should avoid. Not only should you steer clear of books that you read in the classroom, but you should also refrain from listing books that are regularly used in high school curricula, books like To Kill a Mockingbird or 1984. Don’t get me wrong; these books are great, but an admissions officer, upon seeing them on your list, might come to the conclusion that these books were assigned to you, giving the impression that you do not independently read. Let’s avoid this. Additionally, another mistake that students make is thinking along on these lines: “Ah, here’s an opportunity to show Columbia that I am intimidatingly well read! I am going to put down 30 books in an attempt to make myself seem the apex of sophistication!” Trust me; these admissions officers are expecting at most 10 books on this list, and any more than that will likely seem insincere. This question is straightforward! Whether you’re an avid reader of the The New Yorker, The Economist, The Atlantic, Slate, Buzzfeed, or perhaps just the good ol’ Watertown Daily Times, your task here is just to list out the sources that comprise your regular media diet. Ideally, you should aim for 5-10 sources here, and what you list should give the admissions officers the sense that you like to keep your finger on the pulse of the world, whether through politics, culture, or entertainment. Just make sure that the sources you choose are seen as legitimate news sources! 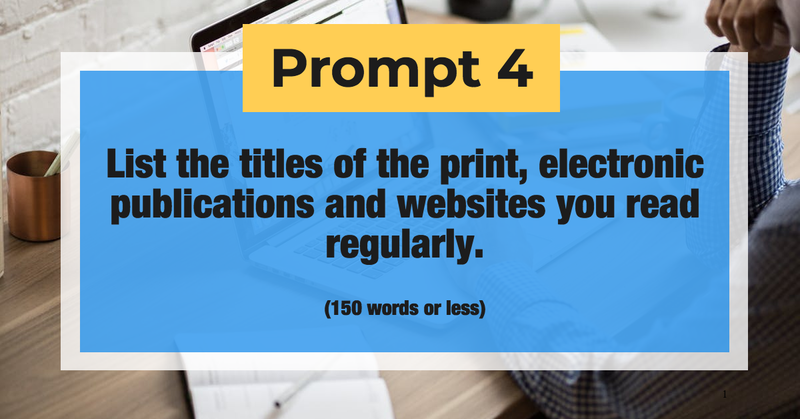 While the previous prompts have asked you to list your favorite written texts, this one expands your options quite dramatically by including all other types of media. There isn’t much to say about this prompt, but do make sure that you choose 5-10 pieces of media that will reflect well on you; if you choose to include a Youtube video entitled “Ben Shapiro DESTROYS Liberals” or “Christopher Hitchens ANNIHILATES Fundamentalist Preacher,” it is likely that the admissions officer won’t remember you for your intellectual curiosity and charity of mind. Students with exceptional responses to this prompt go beyond the college’s Wikipedia article. They go beyond the generic fact sheets provided by the university itself, locating instead the details and qualities that make the university a unique entity amongst a sea of competitors. Try to approach the task this way: assess your own academic profile and determine what’s most important to you. For instance, if you eat, live, and breathe philosophy, then you should peruse Columbia’s website with an eye for what the school can offer you. Once there, you should see whether or not the Meade Anderson Undergraduate Philosophy Forum is something you would want to participate in, whether you are more interested in Justin Clarke-Doane’s work on a priori inquiry or Jenann Ismael’s work on the philosophy of physics, and whether or not there are relevant internships or research experiences available to undergraduates. You should also consider whether there are any clubs, sports, or extracurricular offerings that would help you to develop your interests. Additionally, if you have had any interactions with Columbia in the past, such as in-person visits or participation in one of its summer programs (especially Columbia Edge), you should find a way to weave this knowledge into the essay. Universities highly value these concrete demonstrations of interest, and, as a result, admissions officers will look upon your application with a heightened sense of your commitment. Your specific answers to these questions will help constitute an intellectually sincere and formidable response that shows Columbia that you want Columbia, not just one of its peer institutions.